Majdalani pointed out that during the initial stages of the "crisis," Palestinians in Syria remain relatively uninvolved. However, the turning point was when armed groups moved into Yarmouk refugee camp in Damascus, directly involving the camp in the war. Prior to the conflict, up to 600,000 Palestinian refugees lived in Syria, though the UN's Palestine refugee agency UNRWA estimates that more than half have been forced to leave their homes in Syria due to violence in the country. 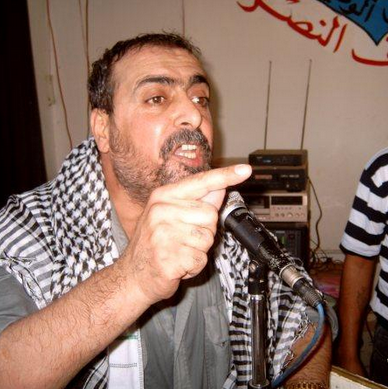 Unknown gunmen assassinated Mohammed Ahmed Mustafa, the Fatah faction secretary in the Yarmouk refugee camp in Syria, on Tuesday night. Eyewitnesses said that two masked gunmen fired at Mustafa, 54, on leaving the scouts commission in the camp killing him on the spot. No party declared responsibility for the assassination. More than half a million Palestinian refugees have been residing in Syria before the eruption of the armed conflict in that country, according to UN statistics. Many of them live in Yarmouk while the rest are scattered in a number of other refugee camps across the country. Human rights activists have warned of a new humanitarian crisis threatening the Palestinian refugees in al-Yarmouk camp, south of the Syrian capital Damascus. The Working Group for the Palestinians in Syria said in a report on Saturday that UNRWA has stopped providing al-Yarmouk camp with food aid for the second week in a row. It said that the stoppage was a result of the shooting incidents the residents of the camp are exposed to when they head to receive the food basket, in addition to the clashes that break out in the aid distribution spots. The group stressed that the suffering of the Palestinian refugees at al-Yarmouk camp is exacerbating due to the closure of Beit Sahem checkpoint and preventing the entry of food supplies through it. The report also pointed to the continued water cut-offs for 102 uninterrupted days, let alone the essential services and power outages. 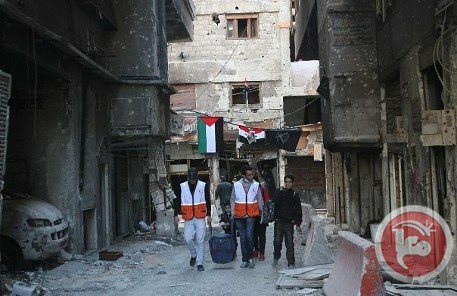 Al-Wafa European Campaign’s delegation is expected to visit Saturday Turkey to check on the living conditions of Palestinian refugees fleeing from the civil war in Syria. The delegation’s visit aims to extend humanitarian help to Palestinian refugees who were forcibly displaced to the south of Turkey due to the ongoing events in Syria. The delegation consists of 12 members from different European countries representing a number of civil society organizations in Europe. Early Friday, deputy head of al-Wafa Campaign Mohamed Kais confirmed that preparations for the delegation’s visit to Turkey were finished. The delegation is expected to visit Palestinian refugees’ shelters and camps in the south of the Turkey and to distribute basic human needs, including food parcels, blankets, and heaters. 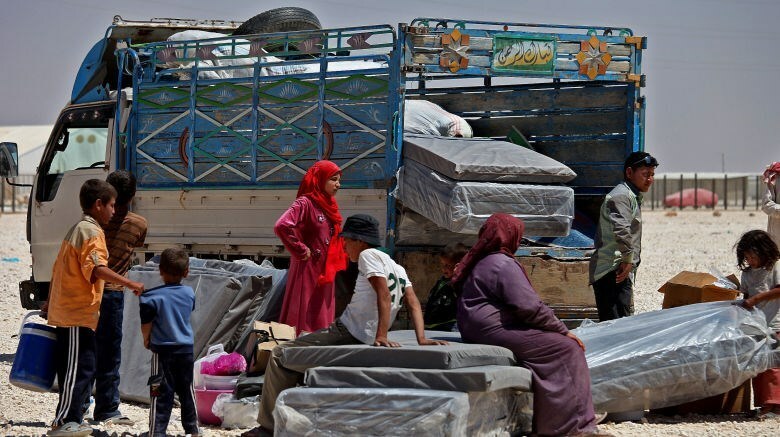 Palestinian refugees in Jordan endure the hardships and poor living conditions on the hope of returning one day to their native homeland Palestine. In Jordan, there are 13 camps, 10 of them are recognized by UNRWA. The latest statistics indicated that the number of refugees in Jordan is more than 3.3 million which is the biggest number of refugees compared to other host countries. 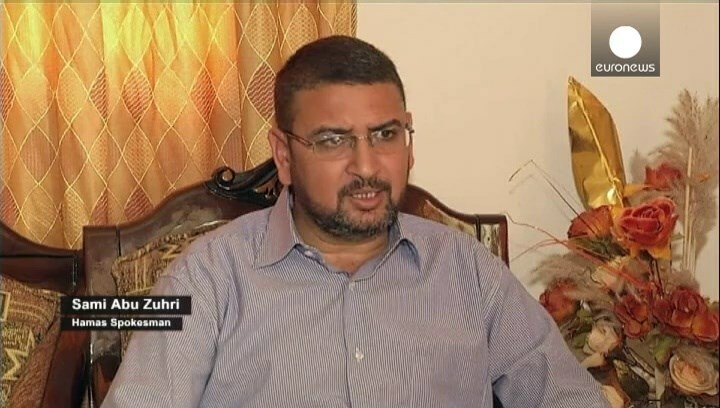 Kathem Ayesh, the director of ‘The Right of Return’ association, described the living conditions of the refugees in those camps saying: "residents of those camps are the poorest of all Palestinian refugees. Camps in Jordan are very crowded, hygiene is virtually non-existent, waste piles up in the streets and the housing units are uninhabitable". He told the PIC: "because of these tragic living conditions, refugees in those camps are leaving whenever their financial situations improve and only 18% of the refugees are still living in camps". He noted that 31% of camps’ residents suffer chronic diseases because buildings are very close to each other and unhygienic. 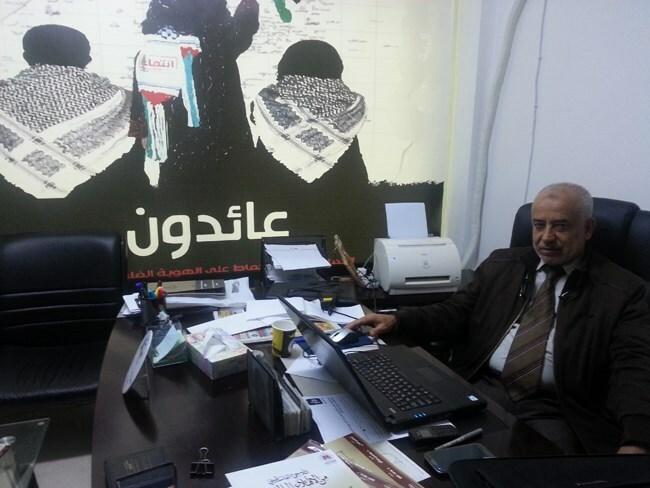 Ayesh added: "Gaza camp in north Jordan is the worst in terms of services. Until this day there are no sewerage services there." 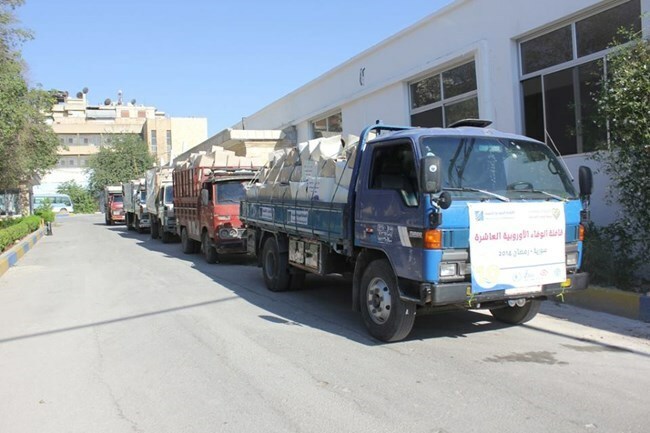 In the same context, Ayesh pointed out that some camps in Amman are witnessing the demolition of old houses to pave way for building main roads and modern stores, which annulled their status as refugee camps. Ayesh accused some parties, which he did not identify, of trying to erase the idea of return from the Palestinians' minds by removing the lessons that address this matter from the curriculums and totally ignoring it in the media. He also pointed out that Zionists said when they occupied Palestine: "Old Palestinians will die and young Palestinians will forget!” He urged parents to raise their children's awareness about their cause, and hoped that schools would also play a role in this regard. About the "alternative homeland", Ayesh described the idea as “Zionist”, since many Israelis had declared that Jordan should be the homeland for Palestinians … arguing that they enjoy citizenship rights and are represented in the parliament. However, Ayesh emphasized that the Palestinian refugees refuse to have Jordan as an alternative homeland for Palestine. The PIC correspondent met an old lady with wrinkles all over her face in an alley in Hittin camp, she said: "I don’t accept any substitute for Palestine, and I still have the key of my house in Aqer where I was born, I took it from my father and if I die before I return I will give it to my children, Israel will be gone and we will eventually restore our rights." 461 Palestinian refugees were killed during the first half of 2014 in the ongoing civil war in Syria, the action group for the Palestinians of Syria reported on Saturday. 219 of them were killed in al-Yarmouk refugee camp, 49 others in Daraa, 48 in Damascus and its countryside, 24 in Aleppo and its refugee camps, 16 in Khan al-Sheikh camp, and the rest in different areas of Syria, the action group explained. The group also reported the death of a young man called Ayham Abdul-Rahim after his exposure to excruciating torture in a Syrian jail. As a result, the number of Palestinians tortured to death in Syrian prisons rose to 277 victims. The group noted that the refugee camps and neighborhoods are still exposed to ongoing projectile attacks and arrest campaigns. Around 988 Palestinian refugees were killed in Yarmouk refugee camp in Damascus since the outbreak of the Syrian revolution, the Working Group for Palestinians in Syria documented in a new report. 399 of the martyrs were killed in bombing attacks, while 157 others were starved to death due to the tight siege imposed on the camp, according to the report. The report pointed out that 15 Palestinian refugees were executed in Yarmouk camp by the Syrian regime forces, while 11 others were kidnapped and killed. Nine other refugees were killed in unknown circumstances. 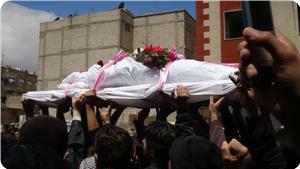 Nine Palestinian refugees were also killed in a bombing car, while six victims were assassinated in the besieged camp. Three refugees were killed either by hanging, or burning, or stabbing, while three others died after building collapses in the camp and due to the overcrowding in receiving aid supplies. On the other hand, the Syrian regime forces continued artillery bombardment against opposition-controlled areas throughout Syria. Casualties were reported. Armed clashes were also reported between the opposition and regime forces in the outskirts of Damascus and Aleppo amid heavy bombing. Casualties were documented when Syrian regime forces carried out several airstrikes over the rural areas of Idlib northern Syria. A Palestinian refugee was killed last night during clashes that broke out between the Syrian regime forces and opposition forces in Damascus, rising the number of Palestinian refugees killed in Syria to 2525 since the beginning of the revolution in February 2011. The Working Group for Palestinian Refugee in Syria said in a statement on Tuesday that the Palestinian refugee Qusay Osama Salman died of injuries he sustained during the clashes in Jober area in the Syrian capital city. In a related context, an armed group affiliated with the Islamic State of Iraq and Syria (ISIS) kidnapped two Palestinian refugees after stopping a bus carrying Palestinian refugees while on their way to Turkey. The sources pointed out that Yarmouk refugee camp was subjected to heavy shelling by the Syrian regime forces. No casualties were reported. 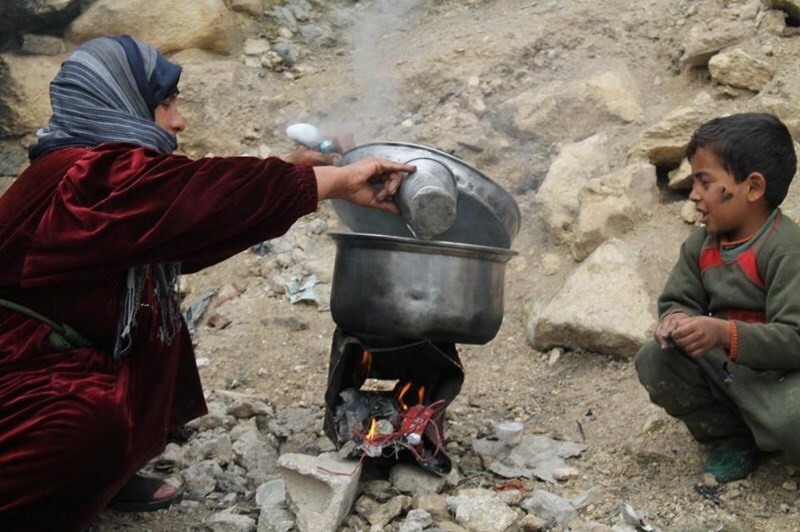 Yarmouk camp has been under siege for 472 days and without power for 555 days and suffered water crisis for 42 days. As a result, 155 Palestinian refugees starved to death in the refugee camp. Civilians in Palestinian refugee camps suffer severe lack of humanitarian needs and medical services other than unemployment. 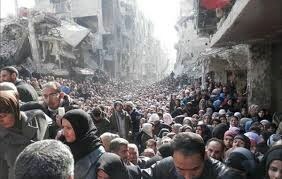 Thousands of Palestinian refugees sheltering at Yarmouk camp are on the verge of facing death as the Syrian regime has not provided drinking water for at least ten days, an activist in the camp said on Thursday. 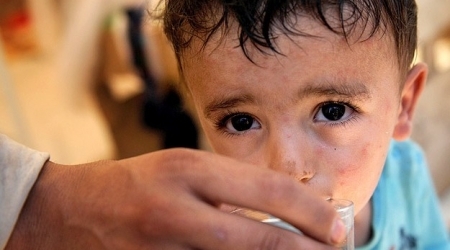 "Death is threatening the lives of 20,000 civilians due to the water shortage, with no water around Yarmouk," Rami Sayyid told Anadolu Agency, claiming the humanitarian situation was worsening in southern Syria. "The camp residents are in unbearable conditions and are drinking contaminated well water provided by aid agencies, which he said is causing concern amongst health officials who fear the spread of contagious diseases." Tens of thousands of people, mostly Palestinian women and children, live in the camp, which has remained under siege of the Syrian regime forces and pro-regime militias since last September. Located on the outskirts of Damascus, eight kilometers from the city center, the camp accommodated more than 160,000 Palestinian refugees before the Syrian civil war started in March 2011. 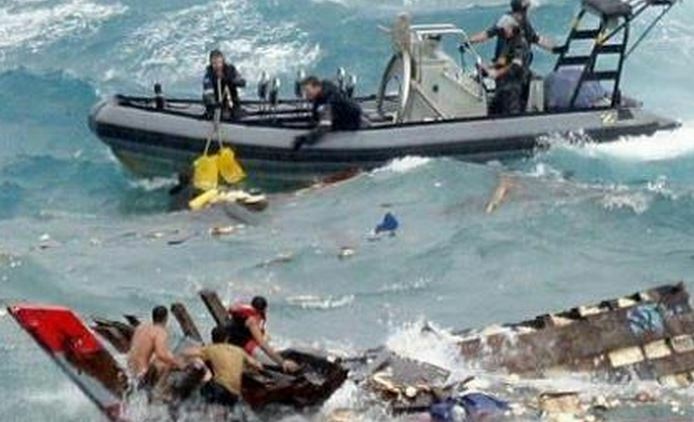 A boat carrying nearly one hundred migrants, including dozens of Palestinians fleeing from Gaza, overturned in the Mediterranean Sea near Egypt, on Saturday, killing fifteen of those on board, according to Al-Anadolu news agency. An additional 72 passengers were rescued by the Egyptian navy. The boat left the Egyptian shore Saturday night bound for Italy, but capsized when it hit a rock. 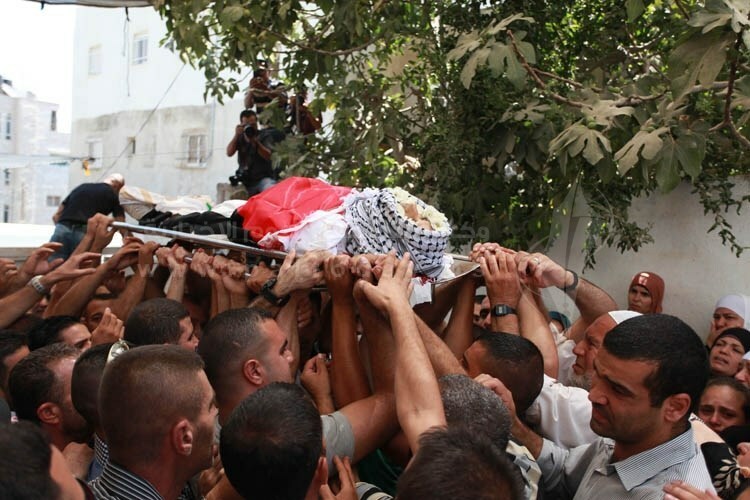 Fifteen Palestinians from Gaza drowned, and their bodies were pulled from the sea by the Egyptian navy. The other passengers were rescued and taken to an Egyptian immigration prison. The Palestinians who attempted to flee from the sealed, blockaded Gaza Strip had traveled via tunnel to Egypt, then boarded a boat bound for Europe along with migrants from Egypt and Syria. The boat that sank on Saturday had been dubbed the 'Abu Othman', and was off the coast of al-Ajami, near Alexandria, when it hit a rock. The migrant boats travel by dead of night in order not to be noticed, and often lack the technology to detect obstacles, like rocks, in the water. Following the sinking of the boat, Egyptian authorities arrested 153 migrants who were attempting to board a fishing boat near Alexandria, at the port of Abu Qir, before they could get underway. According to the Star-Tribune, each migrant had paid $3500 USD for passage. Those arrested included 43 Palestinians, 35 Sudanese and 18 Syrians, and they included men, women and children. The Palestinians who have risked escaping from the Gaza Strip, to try to reach Europe, say they have nothing left to live for in their native land, which has been sealed off with no ability to export or import, and no economy, since 2006. Such a voyage is expensive and risky, but an estimated 100,000 Palestinians have attempted the trip in 2014 alone.